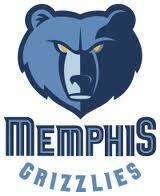 The Memphis Grizzlies are an American Basketball team competing in the Western Conference Southwest Division of the NBA. The Grizzlies were founded in 1995 and play their home games at FedExForum. The Memphis Grizzlies are yet to win a Championship, Conference Title and Division Title in the NBA. The Grizzlies were based in Vancouver, Canada till 2001 and following the 2000-01 season, the Grizzlies moved to Memphis. Grizzlies' first playoff appearance was in 2003-04, where they lost to the San Antonio Spurs in the First round. In their 23 seasons in NBA, Grizzlies have reached the playoffs ten times, but have reached the Conference Finals only once in 2012-13, where they were swept by the San Antonio Spurs. Some of the prominent players to have played for Memphis Grizzlies include Allen Iverson, Pau Gasol etc.